This weekend I focused on electrical hookups for the locomotive servicing facility ("Betriebswerk"). Due to space constraints it's a very compressed operation, and the turntable is obviously overkill. 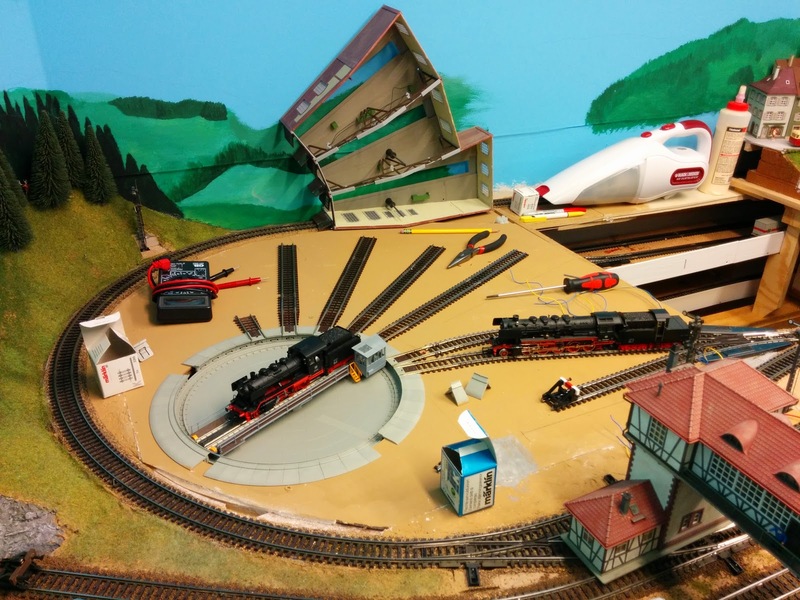 I overlook those, uhm ... details... and enjoy the fact that I have a turntable on my layout. 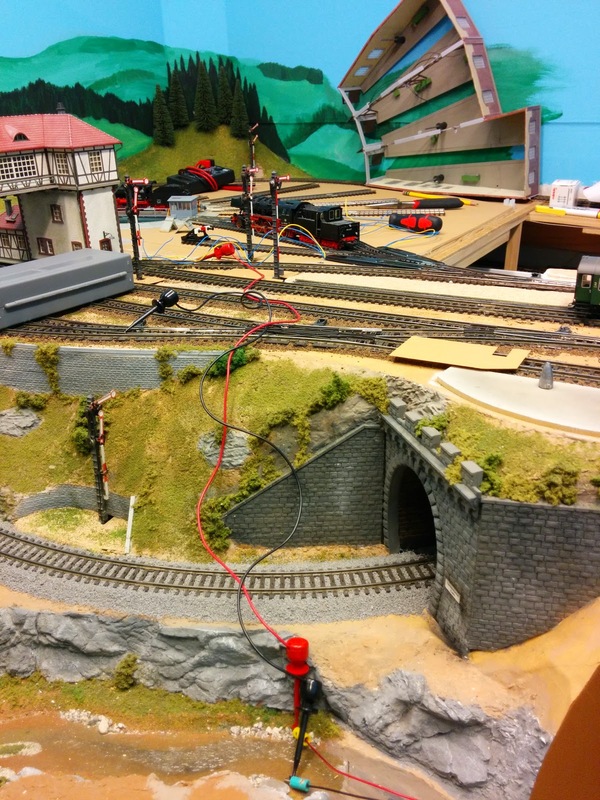 Testing electrical and track connections with some balky engines. The servicing facility is getting powered from the creek. Not quite. 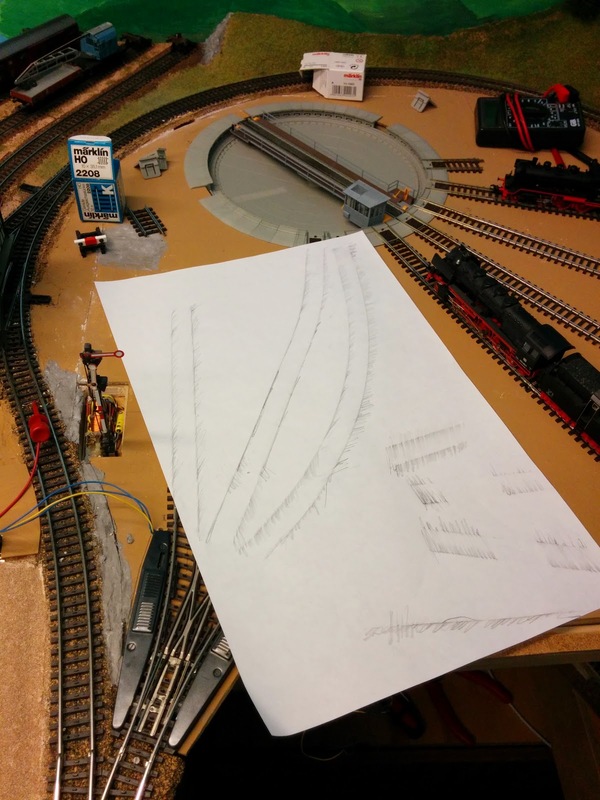 Tracing the outlines of track so that I can accurately cut the surface area between the tracks. Tested and ready to go. 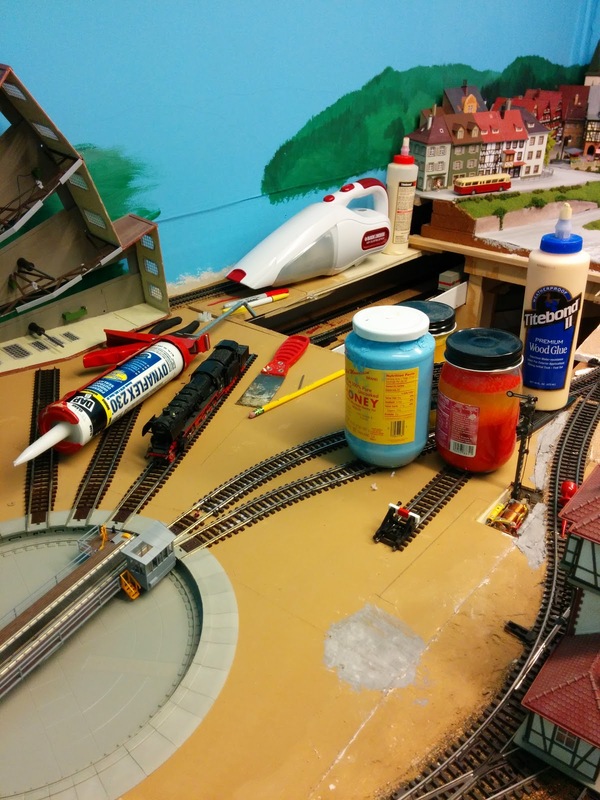 Gluing down the approach tracks.